5 Crazy Questions People Ask Teen Vegans! This post was written by Guest Blogger, Sabrina Zulman. 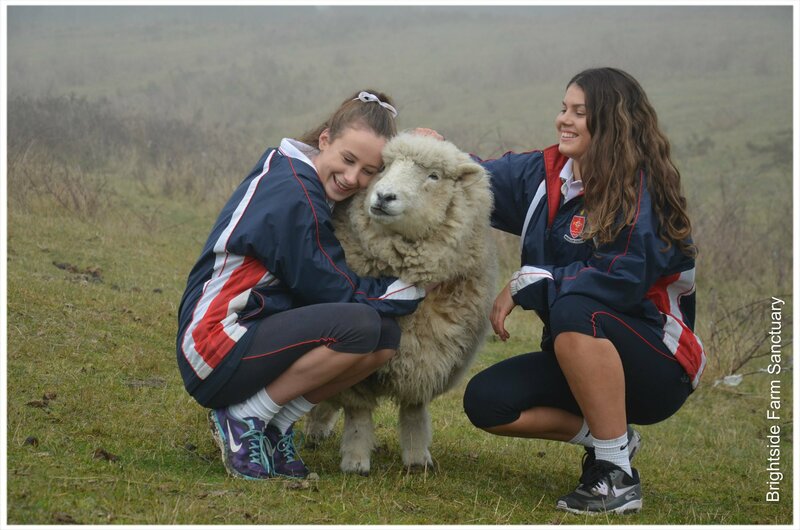 Sabrina is 15 years old, vegan, lives in Australia and volunteers for Voiceless, the animal protection institute. It was first published at Franimals. So you’re a teen vegetarian or vegan? Chances are you get very annoying remarks thrown at you every day! Ever wanted to know what to say back? Unfortunately, it’s true. However, by saving one animal’s life you are saving one animal’s world. If someone were to heroically save your life, but they couldn’t save everyone in danger in the world, you would be incredibly thankful and grateful to that person who saved you. Because your life is your whole world. No, you can’t save all the animals but even if you’re saving just one animal by not eating them, you are saving one whole world. There are plenty of vegetarian and vegan options that are rich in protein. A person’s recommended daily protein intake depends on weight and calorie intake. A rough average for humans is about 45-55 grams per day. 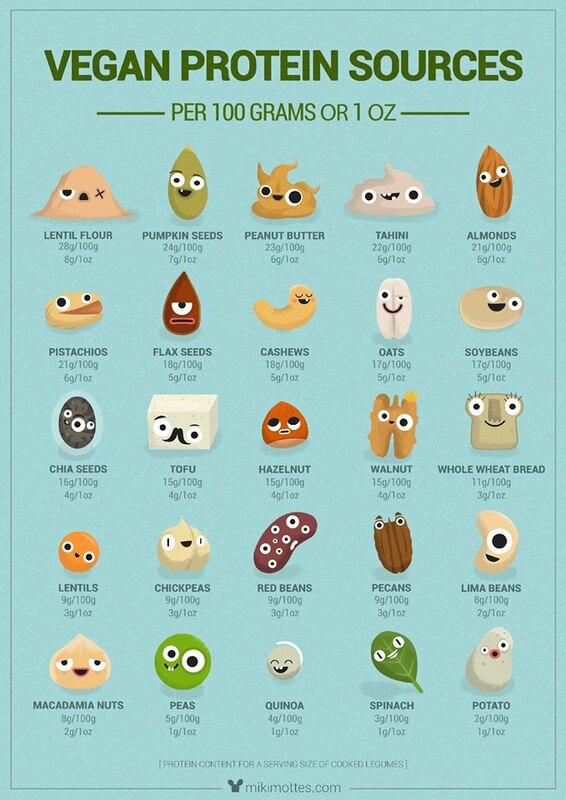 Some plant-based sources of protein include: 1 cup of soybeans = 29 grams of protein, 1 cup of lentils = 18 grams of protein, 1 cup of chickpeas=15 grams of protein, 2 tablespoons of peanut butter=8 grams of protein, 1 cup of broccoli= 4 grams of protein. Yes, plants are indeed living, however it is perfectly fine to eat plants. According to scientists, plants do not feel pain or have a ‘fight or flight’ response like animals do. A plant is not a sentient being. It does not have an innate emotional inclination to avoid bodily harm or death (in the same way that animals do) or a nervous system and, therefore, is not even designed to process the sensation of pain. Philosophically speaking, it’s safe to say that Mother Nature, in her infinite wisdom, would never deny a living creature the capacity to feel pain without also giving him or her the ability to engage in a fight or flight response to the imminent threat or experience of pain. I’ve yet to see any irate celery stalks or bell peppers jump up from the cutting board and run out of my kitchen lately. Such is clearly not the case with the 50-plus billion farm animals around the world who meet their unfortunate fate every year. So really, I think this point is just slightly ridiculous and can easily be put to rest. 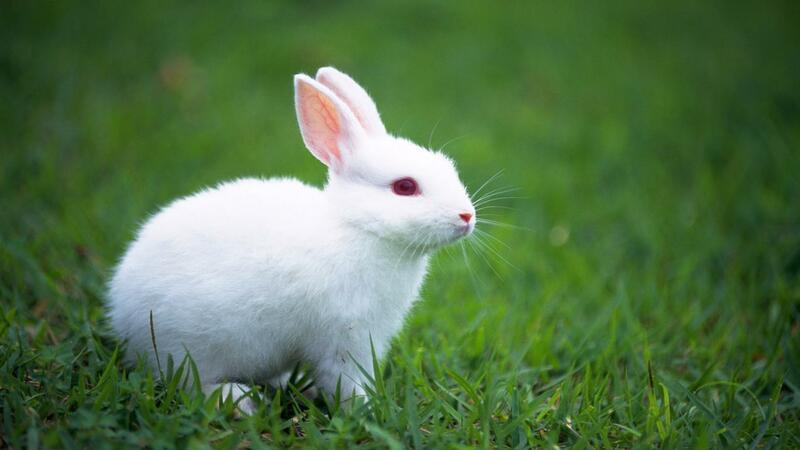 No, I’m not a rabbit! The claim that animals can’t reason “like us” misses the mark. First, it is not fair to compare a universal equivalence in human reasoning capabilities. But of course, not all humans have the same level of reasoning, and in many humans the ability to reason is far less developed than in the animals we kill for food. Pigs are widely acknowledged by scientists and researchers to be more intelligent than three year-old children. Cows enjoy solving puzzles and can figure out how to open locked gates. Chickens are capable of mathematical reasoning and logic skills not seen in children younger than four years old. Baby chicks can perform basic arithmetic, navigate using the sun, and, unlike human babies, understand that an object that moved out of their sight still exists. Chickens also recognize more colours than humans can see, and form meaningful associations with both colours and patterns. Thank you Sabrina for sharing your thoughts!